Drive by any elementary or secondary school in Metro Vancouver when the final bell rings and you'll likely get mired in traffic chaos. Even on sunny days, there's lots of room on the bike racks. The bike-to-work craze sweeping Vancouver has not caught on among Metro schoolchildren, say cycling advocates who believe they have identified the reasons parents don't encourage their kids to ride. 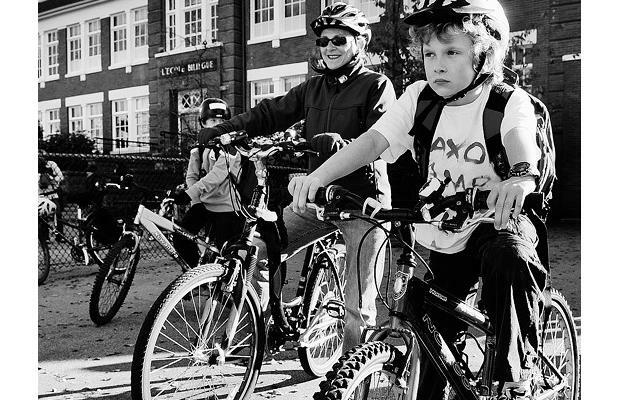 The more cars on the road, the less safe parents feel about letting their kids bike to school. 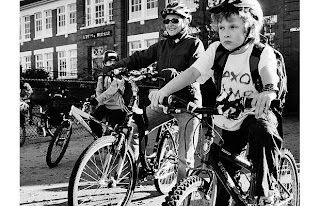 The less safe parents feel about their kids biking to school, the more likely they will drive them, thus leading to a cycle that keeps everyone in cars. "It's something that's driving us crazy. Driving being the operative word," said Arno Schortinghuis, president of the Vancouver Area Cycling Coalition (VACC).